Keep your garage clean and your guests happy with Berkeley Services. As Houston's premiere parking garage pressure washing company, you can be sure that we will leave your garage looking brand new. When a deep clean is not required, get your garage swept daily, weekly, or even monthly. Berkeley Services offers around the clock parking garage sweeping. Keep your garage controlled and your guests safe with fresh striping. Berkeley Services does not just paint over old lines; moreover, we completely remove the old ones with dustless blasting and paint new long last lines with stenciling. Keep your garage and stair wells clean and pristine with Berkeley Services' 24 hour pressure washing operations. What an amazing difference pressure washing can have on a parking garage stairwell. Call today to get your garage pressure cleaned. In order to properly maintain commercial parking garages, power brushing and sweeping must be a frequent evolution. Berkeley Services is not only experienced in proper parking garage sweeping, we have a fleet of industrial equipment and professionals operating around the clock, 24 hrs. a day, and 7 days a week. 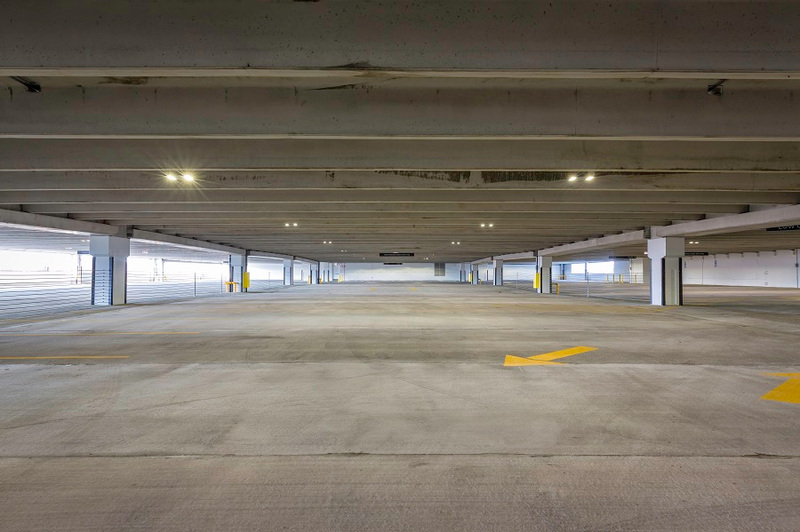 Provide safety and structure with parking garage line striping. 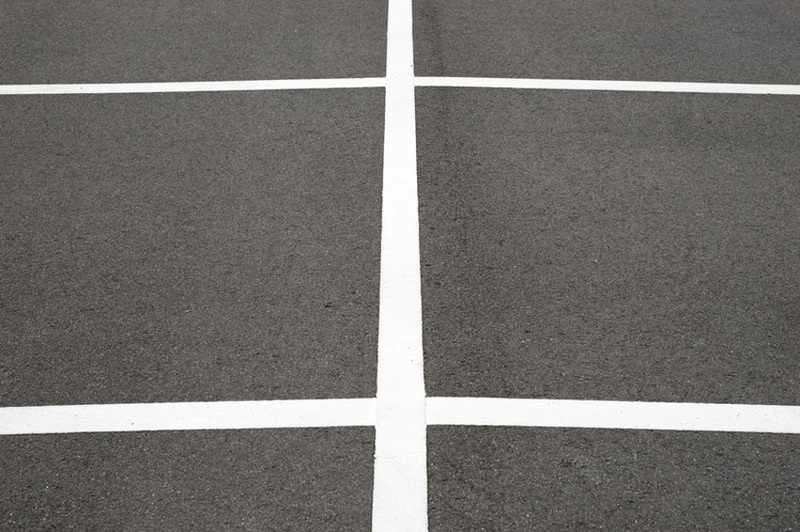 Without proper line striping, your guest may subject to disorder and confusion. Berkeley Services is Houston's experienced garage line striping company. We guarantee 100% satisfaction on all of our line striping services. 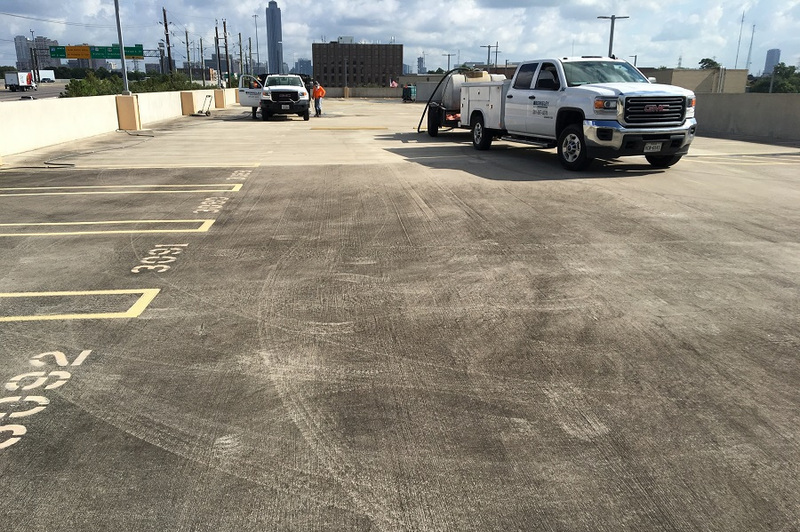 Providing a number of Parking Garage Cleaning Service options, Berkeley Services provides a turnkey garage cleaning solution for businesses in Houston and surrounding areas. We are a one-stop-shop solution for garage power washing, garage sweeping, and garage line striping. If you need your garage cleaned and/or professionally maintained, then Berkeley Services is the company for you.  We will go above and beyond to make sure you and your guests are 100% satisfied with our services. Don't hesitate, call today for a free consultation. Houston Parking Garage Cleaning is a service we provide 24 hrs. per day. We make sure to maximize our cleaning efforts when the least amount of traffic is present. This ensures customer safety and reduces noise and clutter during business hours. As one of Houston's top parking garage cleaning services, we take pride in providing high quality cleaning for all of our clients.